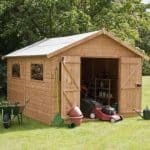 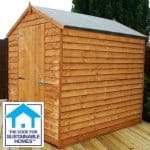 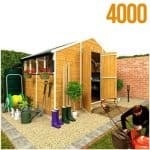 This is an average size wooden shed which will work in any garden regardless of shape. 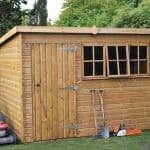 It has a functional opening window allowing plenty of light and air inside and a single door. 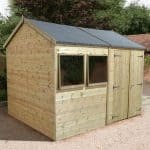 There is plenty of interior space to store garden equipment, furniture and toys and the shed is constructed from shiplap timber with an apex style roof. 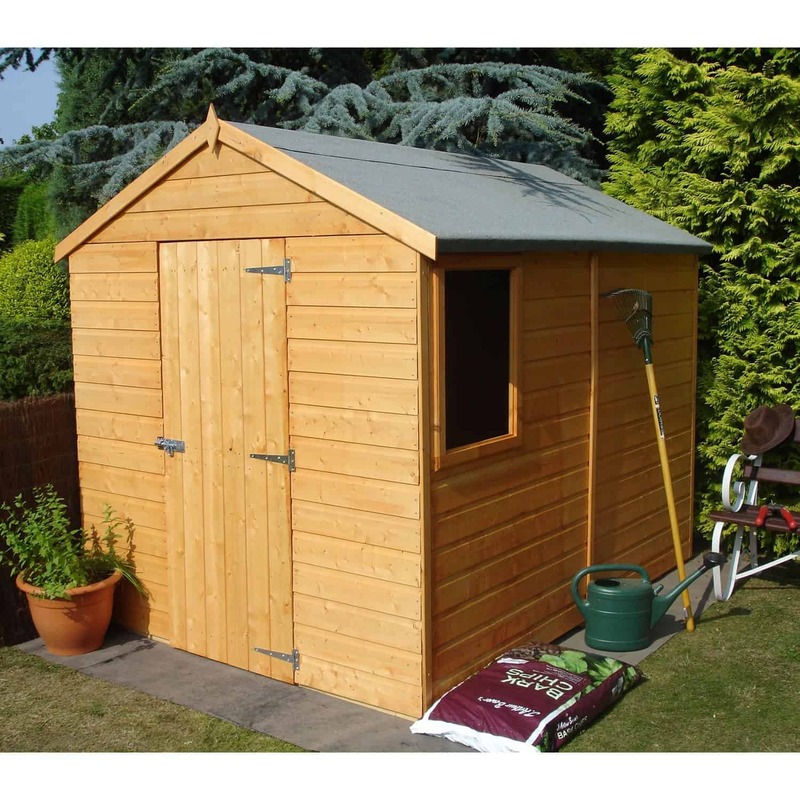 It comes in a honey brown colour which has been treated against rot. 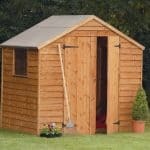 This shed cones home delivered with base for your convenience.